This month we installed the world’s first VR ARENA esports attraction at Pinballz, a family entertainment center in Austin, Texas. Pinballz charges $15 per play per person, or $12 as part of a combo package. A total of 820 guests played in the first 10 days, generating revenues of more than $10,000. Following this successful launch, we shared 5 tips on how to market a VR attraction at a location-based entertainment (LBE) venue. 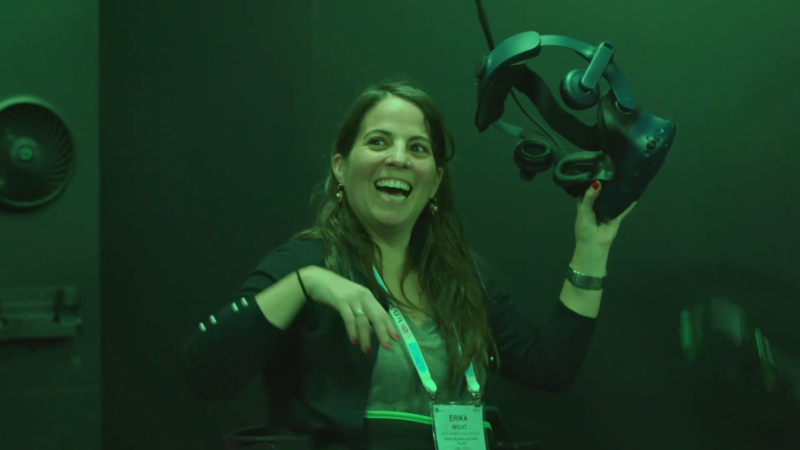 The key takeaway is that an attraction like VR ARENA, by combining VR and esports, can attract a new audience of gamers – and new money – to LBE venues. 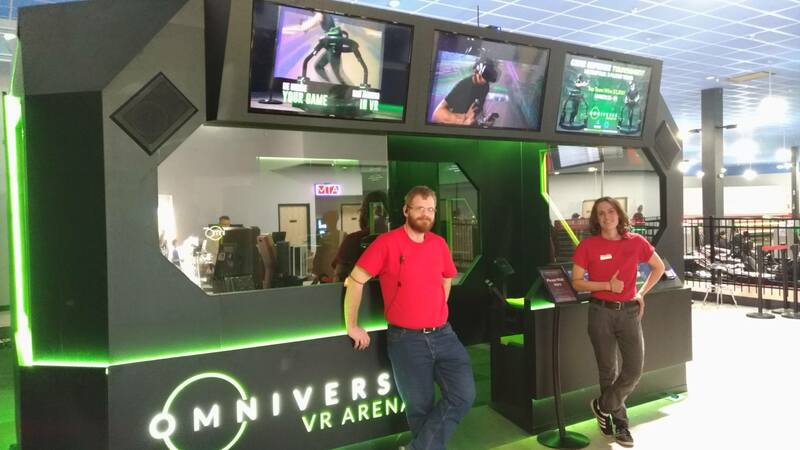 At the VR ARENA opening event at Pinballz, 45% of guests had never visited the venue before. Several guests drove more than an hour to come try out the new attraction. You can read our blog post with 5 tips on how to launch and market a VR attraction here. Omniverse ESPORTS™ continues to gain strong traction. 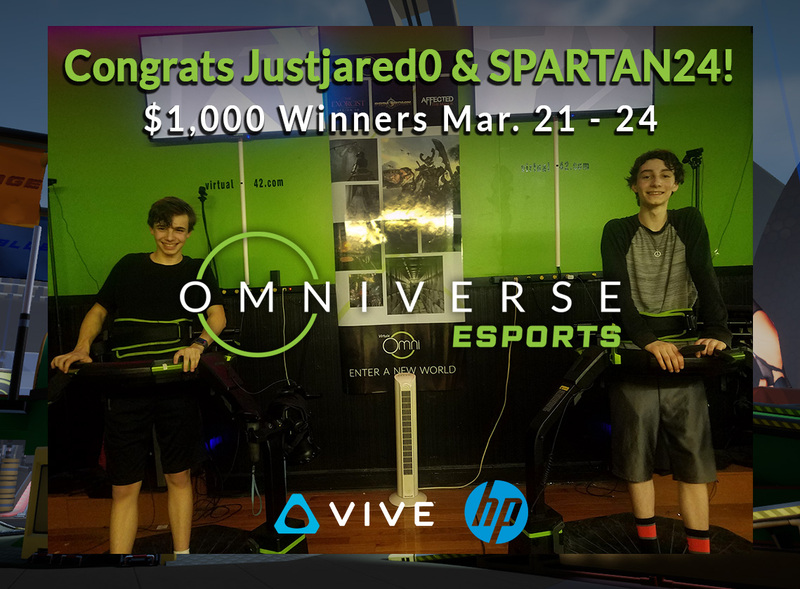 Congrats to the winners of March’s contest, Justjared0 and SPARTAIN24, who played at Virtual 42 in Washington, New Jersey, and won the top prize of $1,000 plus an HTC Vive headset. Honorable mentions go to the runners-up, Matteus and CKiLLA, who played at The Nexus VR arcade in Myrtle Beach, South Carolina, and to the third-place winners, jereboss and make17th, who played at 360XP in Helsinki, Finland. You can find data and insights about how esports can boost LBE revenues in our blog post here. The next Omniverse ESPORTS™ tournament takes place April 25-28 and features single players battling in the game Core Defense, level Coliseum. 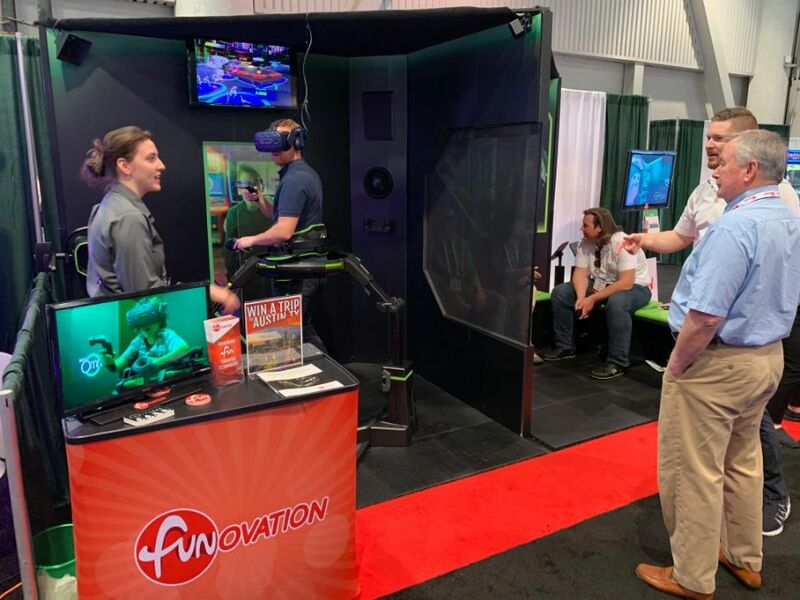 Together with our partner Funovation, Virtuix exhibited an Omni and a quarter-scale mockup of VR ARENA at Amusement Expo in Las Vegas on March 27-28. The Omni was one of the busiest attractions at the show. 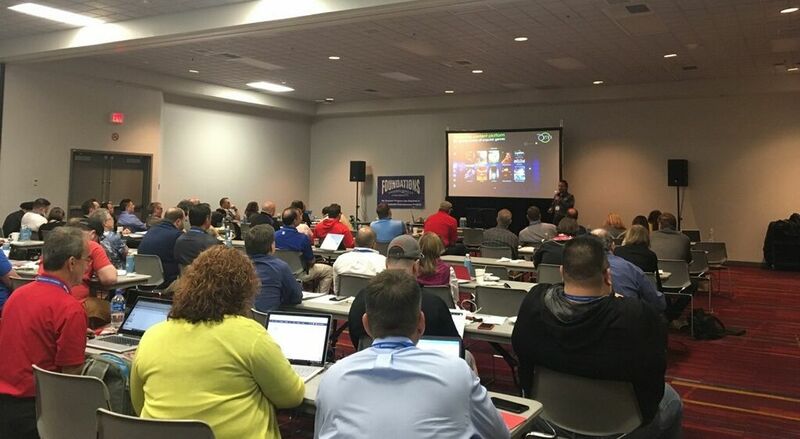 Before Amusement Expo, Virtuix sponsored and presented at Foundations Entertainment University, which hosted 100 attendees for two days and educated the audience on how to operate an LBE business. 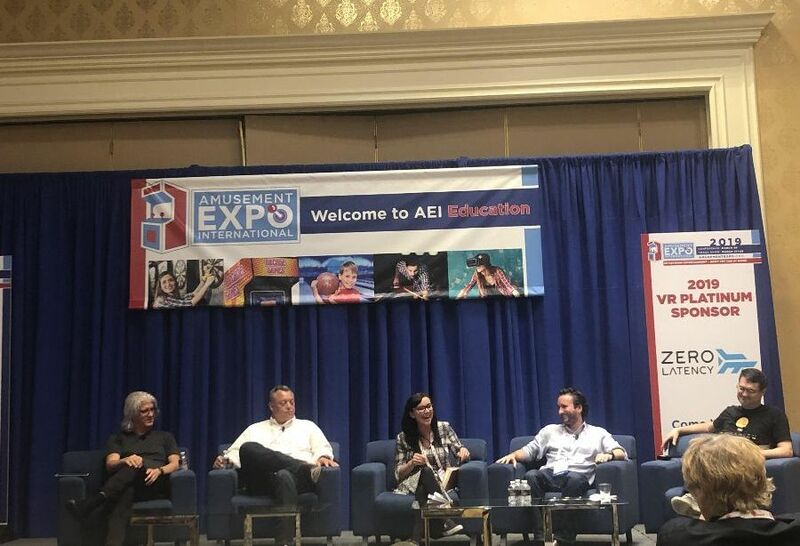 Virtuix was selected as the exclusive VR sponsor of Foundations, the amusement industry’s premier educational program. 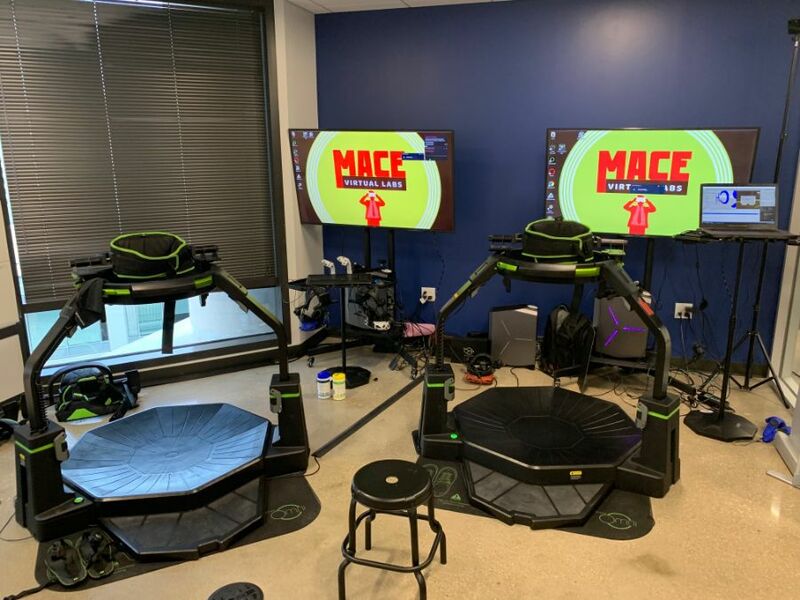 Our U.S. distributor MACE Virtual Labs exhibited two Omnis at Capital Factory’s Innovation Lab during SXSW 2019 in Austin, Texas. MACE primarily targets military, law enforcement, and enterprise customers for training and simulation applications with the Omni.